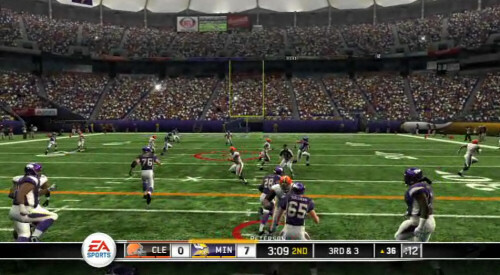 I've been hitting the gridiron, almost nightly, in Madden NFL 10's co-op mode. We'll be having a full review of that later this week, but until then you'll want to check out GameTrailer's coverage of the mode. Members of the Madden team go in detail about some of the tweaks they made for the two player co-op, special cameras, unique achievements, and co-op moves.